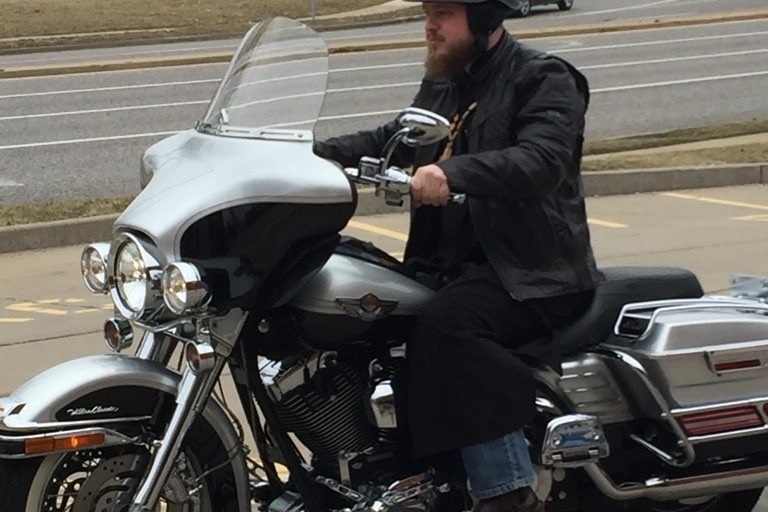 This week, our priest's motorcycle was stolen from parish grounds and we would like to help raise money to purchase another. Fr. Mikhail Volzhanskii serves a small Russian Orthodox community at Holy Archangels Women's Monastery in House Springs, MO. He leads liturgy and holds services each week without an official salary and relies on the donations of others to support his family. In addition to fulfilling his duties in House Springs, MO he also travels to the Holy Dormition of the Theotokos Orthodox Parish in Benld, Illinois to occasionally serve Liturgy as they seek a permanent priest. Fr. Mikhail also has begun a prison ministry, corresponding with inmates from a prison in Tennessee who have inquired about becoming Orthodox Christians. 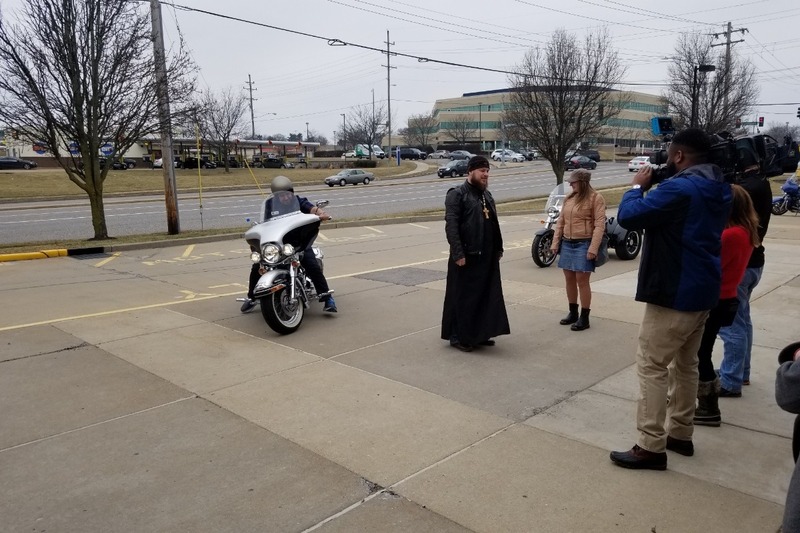 One of his dearest projects though is the organization of the first US chapter of the Arhistratig Russian Orthodox Motorcycle Club. Fr. 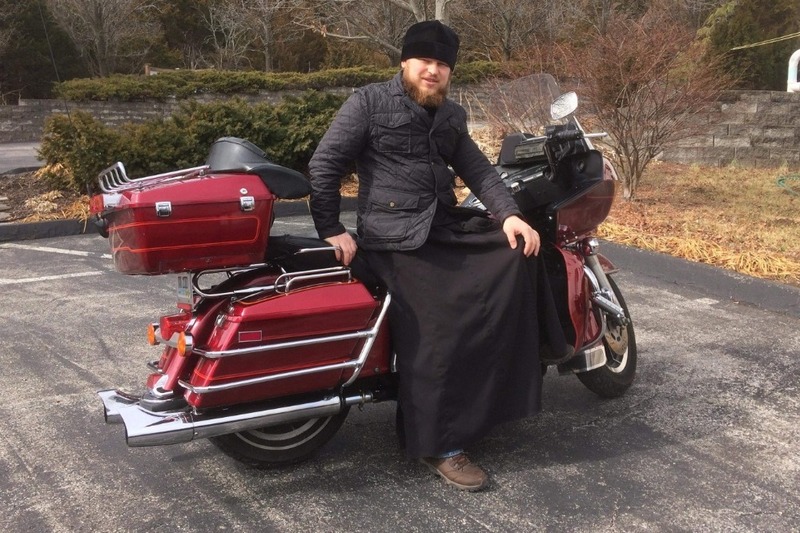 Mikhail hopes to build a ministry for Orthodox motorcyclists and reach out to other bikers with the love of Christ and the Orthodox Church. Those plans were put on hold this week when thieves came onto the monastery grounds and stole Fr. 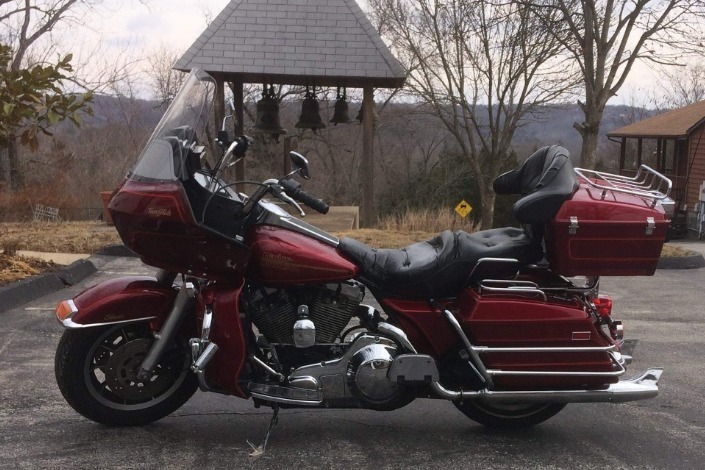 Mikhail's 1989 Harley-Davidson Tour Glide. 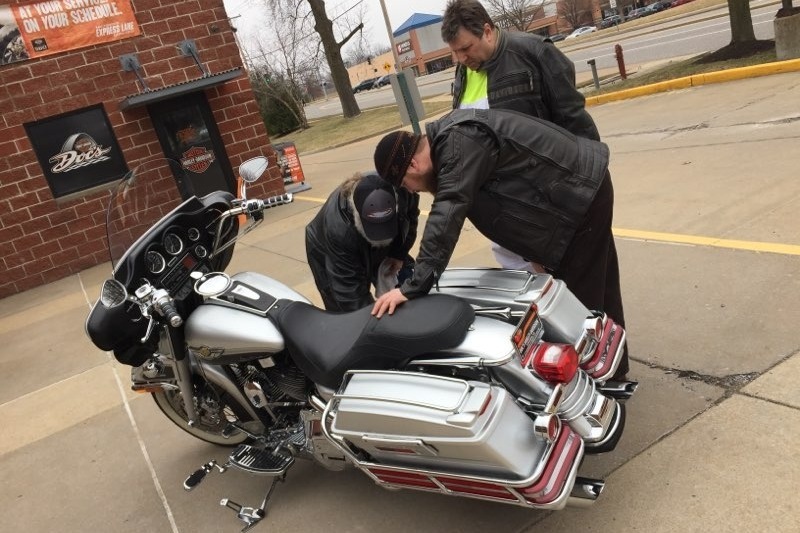 We are asking others for help in raising $6500, so we can replace Father's motorcycle and help him continue his outreach programs. Dear brothers and sisters. Today, by God's will and your support, I am again on two wheels. I am very grateful to everyone who supported me from both sides of the ocean, in America and Russia. I pray that our Lord will give everyone health and happiness in this life and salvation in the future. God bless you for many years.